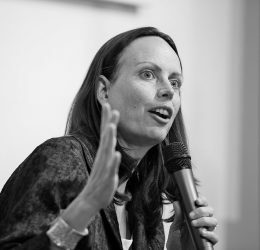 Aspen Institute Central Europe is hosting a fireside chat with Jacquelline Fuller, Managing Director of Google.org. The meeting will gather together representatives of the non-profit sector as well as the Aspen Institute Central Europe network. During the evening we will discuss questions such as enhancing the impact of philanthropy through technologies and designing different models for different non-profit activities. Google.org is the charitable arm of Google, which supports innovating non-profit projects in the area of education and development aid.